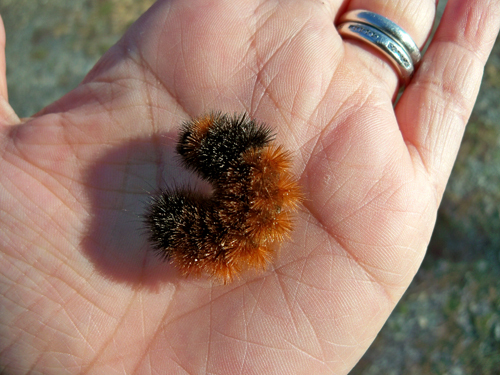 My sister and I found a bunch of these caterpillars at my parent's house. We used to call them Wooly Bullies and we haven't seen them around for a few years. They crack me up. If you poke them they roll up into a little ball. My sister is good at spotting them. Very cute! An old wives tale my Dad used to say was that the bigger the black stripe the colder and snowier the winter. I used to see those all the time too, havent seen them in a long time. 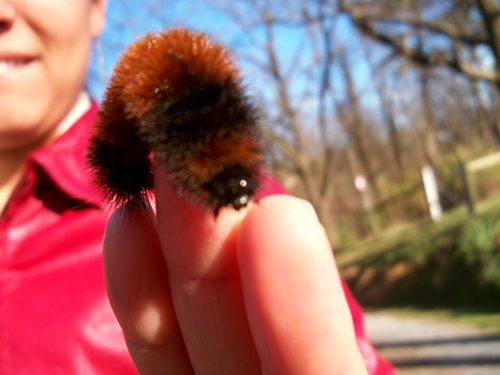 I believe that's a Banded Woolly Bear Caterpillar, a Pyrrharctia Isabella. It'll turn into a tiger moth. 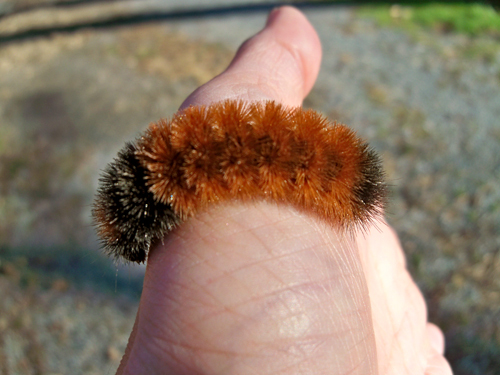 In NC they are called Woolly Worms and every October there is the Woolly Worm Festival. People race the worms and the winning worm predicts the winter. They count the stripes on his body and that's how many snows we'll have. They have been accurate for over 100 years!